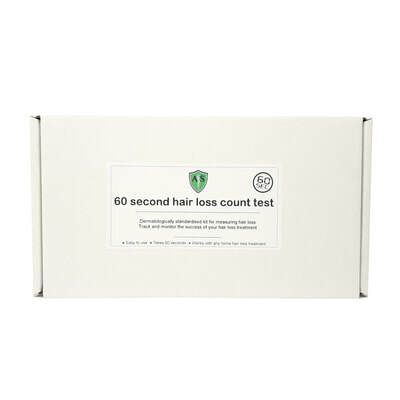 Order a 60 second hair loss count test kit today and we'll send your next treatment product free. What is the 60 second hair loss count test? The 60 Second Hair Loss Count Test is a test that measures the rate at which hair is shedding in a scientifically standardised way. The test can be used alongside any type of hair loss treatment at home or in a clinic environment. The test may be performed at intervals throughout a user’s hair loss treatment programme which can help determine its effectiveness. 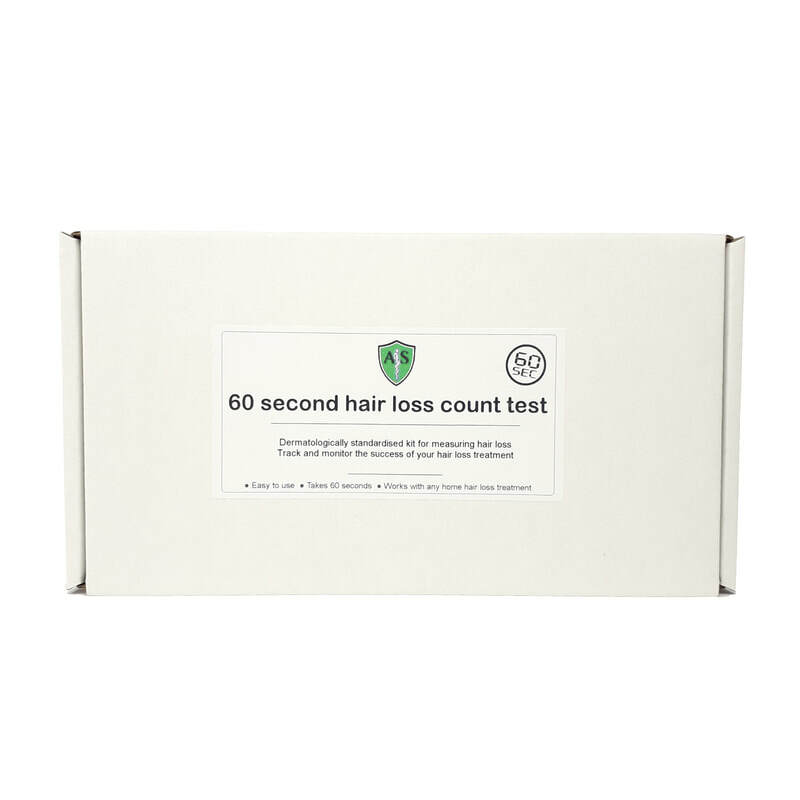 The 60 Second Hair Loss Count Test is therefore the perfect tool for monitoring hair loss levels whilst using any type of hair loss treatment product. ​The test works equally well when used alongside hair loss treatments prescribed by specialist clinics or those that are ‘self-prescribed’ by patients e.g. purchased online or from pharmacies. How does the 60 second hair loss count work? The 60 Second Hair Loss Count Test allows you to collect and count a very small number of shedding hairs and provides you with a standardised way to calculate your hair loss count result. Compare your result with averages contained in the kit and your own historic results to assess your level of hair-shedding whilst using hair loss treatment/s. A hair loss count that decreases with time is desirable. This will hopefully indicate that your hair loss treatment is having a positive effect. However, other factors such as diet could also affect results. This can be very helpful to patients - especially in the early months when there may be no visible evidence of success. 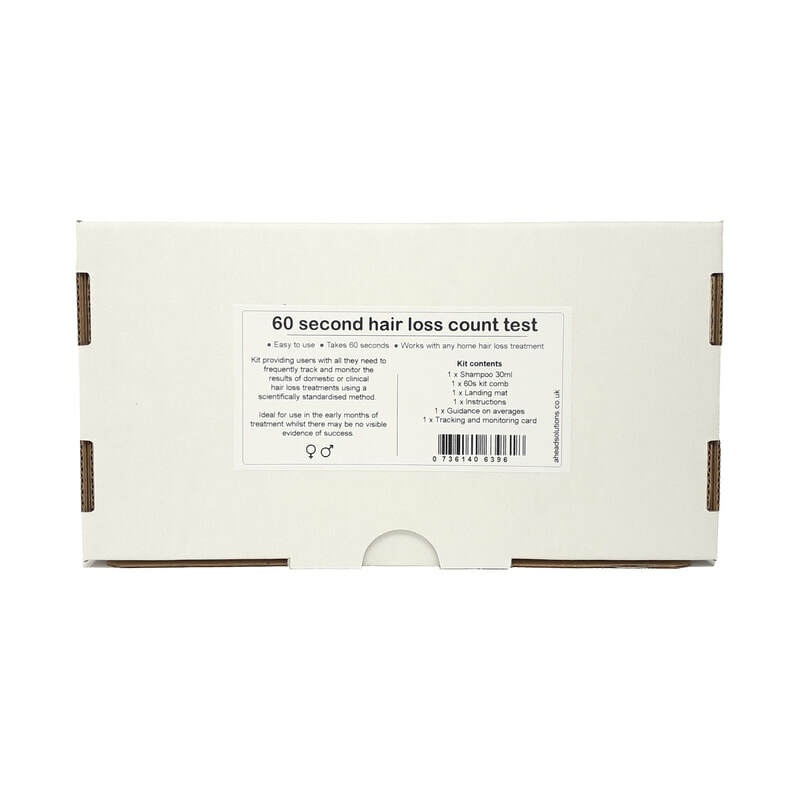 The 60 Second Hair Loss Count Test is a quick and simple tool that can be used by anyone for monitoring hair loss and shedding conditions. The kit can be used to track the changes in the rate of hair shedding over time. This then enables the user to assess the success of any hair loss treatment that they may be undertaking. This can be helpful to patients in numerous ways. It can help the patient stay motivated to continue with a treatment, or to recognise that the treatment is not working for them and in turn to make informed purchasing decisions. It can also help in deciding if and when to seek professional advice. 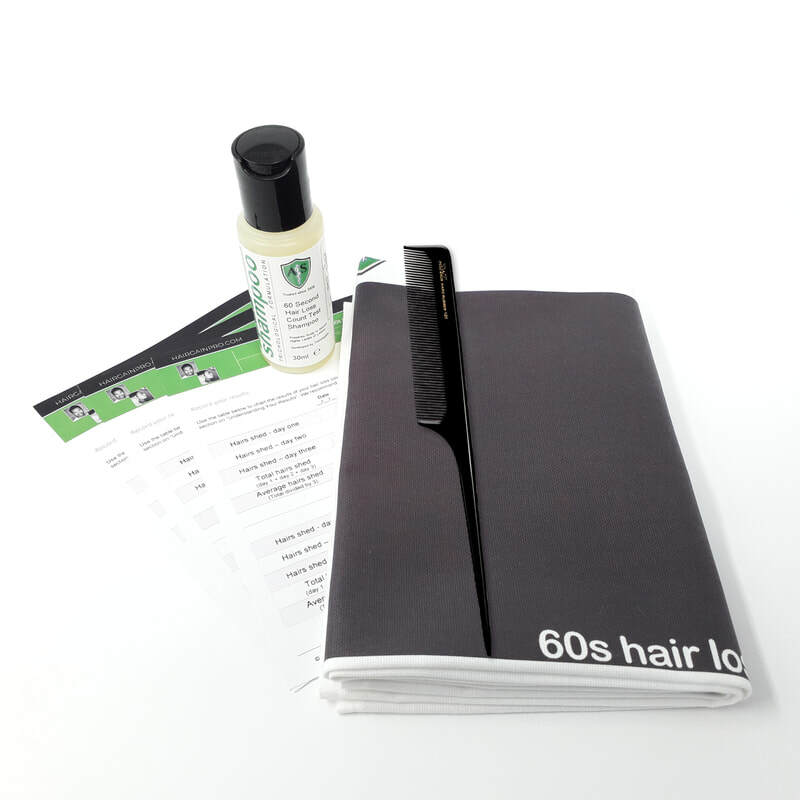 Kit containing everything you need to monitor the success of your hair loss treatment at intervals.